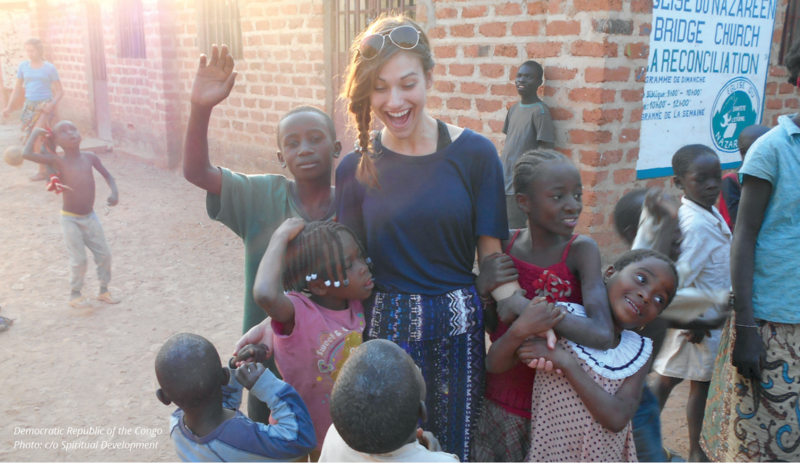 For 30 years, PLNU has sent students around the world on LoveWorks short-term mission trips. 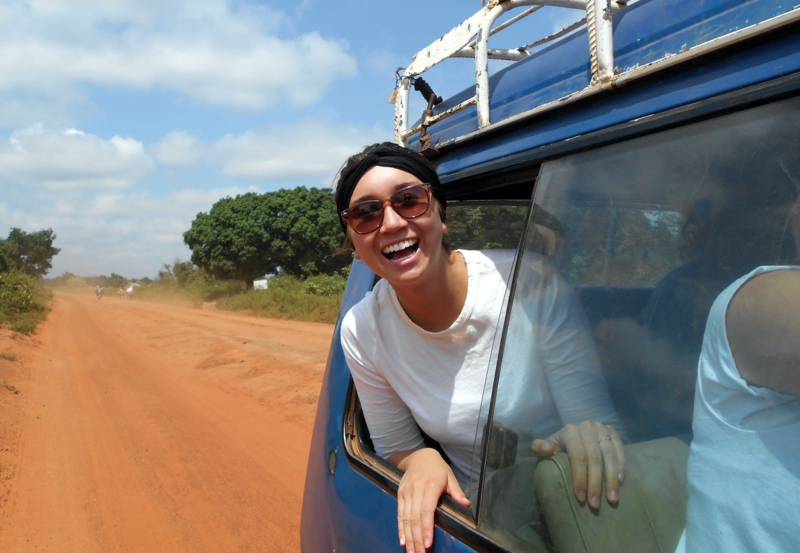 LoveWorks teams go only where they are invited and support the work of local churches and long-term missionaries. In addition to supporting the global church, LoveWorks provides for the spiritual formation of the students — and leaders — who participate. Their training and experiences involve challenge and risk that often shape the rest of their lives. In fact, LoveWorks and the office of Spiritual Development grew up together and remain fundamental ways the university fulfills its mission and helps students discover their callings in christ. An unexpected storm and a calloused hand changed the course of life for Norm Shoemaker, D.Min. It was Shoemaker’s first missions experience. As a sophomore at Pasadena College, he had gone with his home church, Bresee Avenue Church of the Nazarene, to serve on a Navajo reservation in New Mexico. Near the end of the week, an unexpected blizzard hit shortly after a couple of students had gone for a ride on some ponies they had borrowed from their new Navajo friends. A search party sought the students until 3 a.m. while Navajo church members and students prayed. The students were eventually found safe in a hogan, unaware that “half the state of New Mexico” had been looking for them. Then, just before boarding the bus on the last day of the trip, Shoemaker had a revelation. Related Article: The importance of “Glocal” ministry efforts that serve both those across the world and across the street. In 1987, the president of the university was Jim Bond, D.Min., and he hired Shoemaker as the first executive director of spiritual development. PLNU was one of the first Christian universities to create an Office of Spiritual Development. Though the role was new, Shoemaker was well-prepared to fill it — and not just because of his experience in New Mexico. His early professional roots were in youth ministry. After graduating from Pasadena College in 1961, he worked as one of the first full-time youth pastors in the Church of the Nazarene at Bresee Avenue. He went on to serve at the largest Nazarene church at the time, Bethany First Church of the Nazarene in Oklahoma. In 1970, Shoemaker became general program director for the department of Youth Ministries of the Church of the Nazarene at its denominational headquarters in Kansas City. During his tenure, Shoemaker launched the Youth In Mission program. The program has sent more than 3,000 college students on short-term ministry assignments in the United States and around the world during their summer breaks. Shoemaker brought these experiences into his new role at the university. When he arrived, he estimates that there were about 75 to 100 students involved in seven student-led ministries. But since there was no formal structure, these ministries and participation therein varied greatly from year to year. Upreach was facilitated through chapel, which was already in existence, and the addition of Time Out. 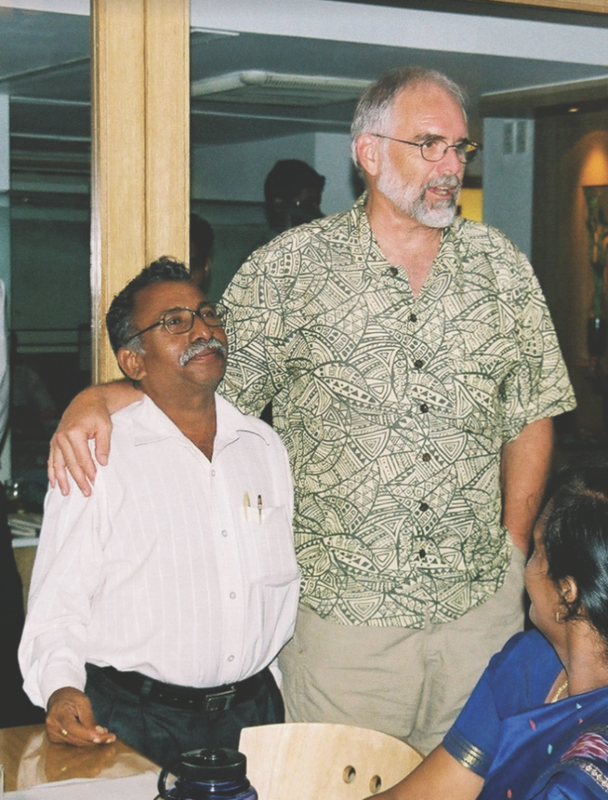 Inreach was facilitated through covenant groups (now called discipleship groups). 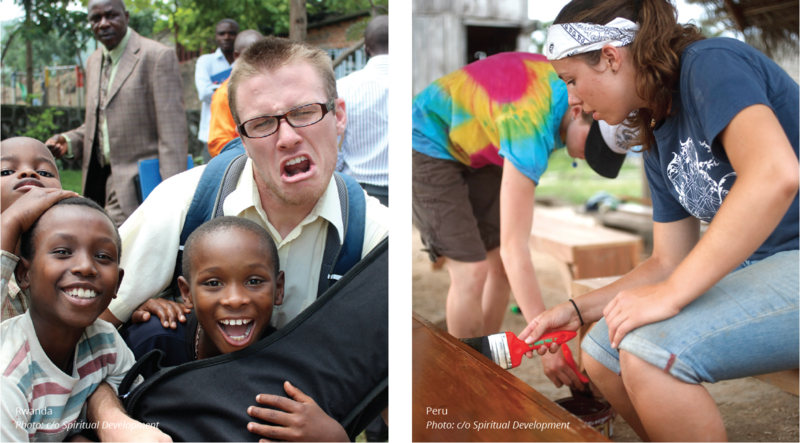 Outreach was designed to happen through student ministries and short-term missions. 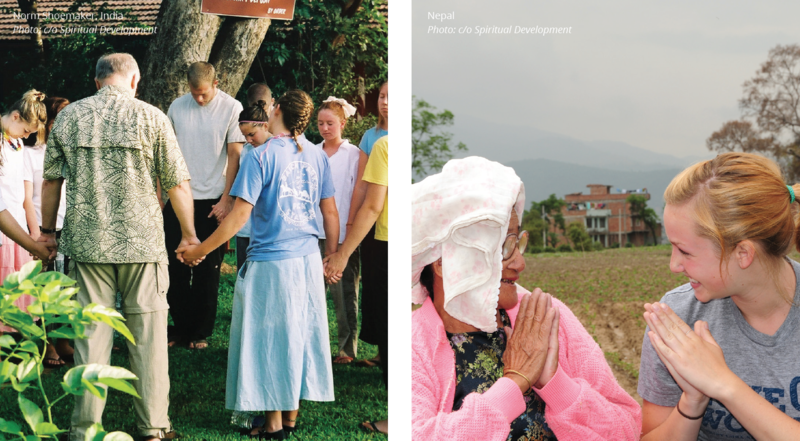 The culture shift contributed to the holistic spiritual development and formation of students on the campus and provided support to the chaplain at the time, Gerard Reed, Ph.D. The first short-term mission trip in what would soon be named LoveWorks was to Belize in the summer of 1989. The students who went participated in a larger initiative called the Cause Project. A team was then invited to serve in Brazil. “What moved it to a whole new level of engagement was Eastern Europe opening up,” said Shoemaker. After the fall of the Berlin Wall, the international political climate made many new places to serve available. “These student teams were uniquely gifted to open doors and form relationships,” Shoemaker said. Fifty-two people from the university and sister institutions participated in the first LoveWorks trip to Russia in 1991, bringing Bibles and medical supplies. On that trip, the value of presence — “showing up incarnationally” — in contrast to simply sending aid, was once again confirmed for Shoemaker. Related Article: The difficult work of ministry during the worst time of Christian persecution. Shoemaker’s early efforts at giving students the opportunity to grow and serve through short-term missions were enhanced by his unique partnership with Dana Walling, who was the associate dean for community life at the time. In his role, Walling worked with ASB and student government, placing him close to the heartbeat of the campus. From the beginning, Walling was an avid supporter of LoveWorks, rallying students and leading trips. Shoemaker said Ken Hills, the vice president for student development at the time, empowered the partnership. By 1992, Walling joined the Office of Spiritual Development. In 1994, Shoemaker accepted a call to serve as pastor at San Diego First Church of the Nazarene, and Walling took over as director for Spiritual Development and LoveWorks. He served in the role until his passing in 2000. Jeff Bolster, Ph.D., co-directed international ministries with Walling in the late 1990’s and served as director from 2000-02. Becky Modesto served from 2003-04. Bolster returned in 2004, serving until 2008 when he became dean of students and director of residential life. He was succeeded by Becker. Shoemaker credits Bolster and Becker with advancing the training students receive before going on missions to the rich experience it is today. “The seeds were sown in our era, but Jeff further developed the training, and then Brian, and they made it much more comprehensive and intense,” Shoemaker said. Throughout its history, LoveWorks has been known for only going where teams are invited. Watch Now: Glen Laster, the Assistant Director of Public Safety, shares about discovering his gift of evangelization and how he has pursued his calling both at PLNU and abroad. Becker believes giving students adequate preparation is vital because the impact of LoveWorks on their lives is often lasting. While the typical LoveWorks trip is three weeks long, students spend a full semester learning, praying, and preparing to serve and to be shaped by their experience. 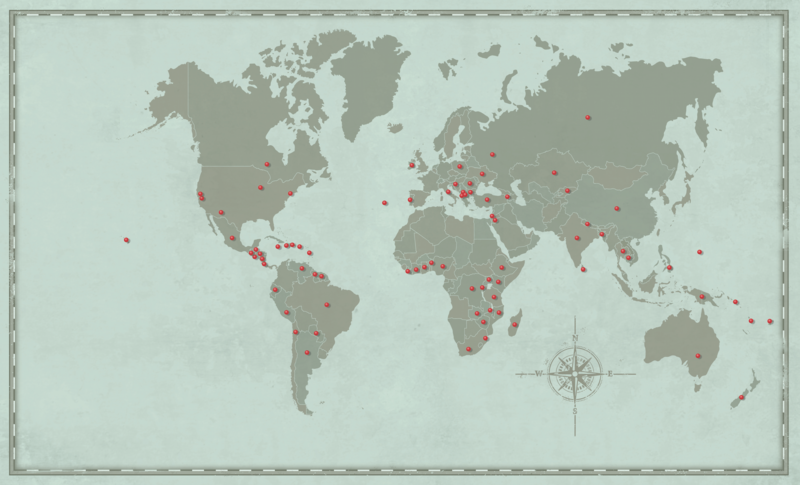 Beginning in 1988, LoveWorks has sent students around the world to help with the mission and work of the global church. For each of the first two years of the program, one team represented PLNU abroad: in 1988, 19 people went to Belize to serve, and in 1989, 26 people went to Guyana. By 1993, more than 100 (118 to be precise) were sent to eight different locations. By 1997, 177 people from PLNU went as a part of 13 different teams. The most teams sent in one year was 15 in 2014. The most individuals participating in a single year were the 195 who went on 14 different teams in 2007. In the past 30 years, 250 different teams consisting of 2,818 members have been sent to the places represented on this map. Many countries have been visited by multiple teams throughout the years. LoveWorks only goes where the program is invited by local churches or missionaries. COUNTRIES VISITED: Albania, Argentina, Armenia, Australia, Azores, Bangladesh, Belize, Benin, Brazil, Bulgaria, Cambodia, Canada, Chile, China, Costa Rica, Cote d’Ivoire, Croatia, Democratic Republic of the Congo, Dominica, Dominican Republic, Ecuador, El Salvador, Ethiopia, Fiji, Ghana, Guam, Guatemala, Guyana, Haiti, Hawaii, Honduras, India, Ireland, Israel, Italy, Jamaica, Jordan, Kazakhstan, Kenya, Kosovo, Kyrgystan, Liberia, Madagascar, Macedonia, Malawi, Mexico, Moscow, Mozambique, Nepal, New Mexico, New York, New Zealand, Nicaragua, Nigeria, Papua New Guinea, Paraguay, Peru, Philippines, Poland, Portugal, Puerto Rico, Romania, Russia, Rwanda, San Jose, Solomon Islands, South Africa, Sri Lanka, Suriname, Swaziland, Tanzania, Thailand, Turkey, Uganda, Ukraine, Vanuatu, Venezuela, Zambia, and Zimbabwe. “I have had the privilege of leading over 10 LoveWorks teams. But my first trip was as a student in 1991, with Norm Shoemaker and Dana Walling as our co-leaders. On that historic trip, dozens of students from different Nazarene colleges partnered in ministry throughout Russia. I’m told that of that group, 70 students later committed themselves to vocational ministry. I am one of those 70. Share your own inspiring LoveWorks story. Give to support students in LoveWorks ministry. Help fund the LoveWorks Norm Shoemaker Endowment. Serve as a LoveWorks team leader or inquire about alumni LoveWorks team opportunities.